London, 9 May 2011 – The independent player protection and standards body eCOGRA has published a revised version of its widely respected Generally Accepted Practices (eGAPs) at www.ecogra.com/egap in a move that positions the organisation’s accredited operators at the forefront of European regulatory development. The eGAPs provide a professional framework for safe, fair, efficient and responsible business activity and provide guidance for the 153 tier one online gambling sites accredited by the London-based organisation. 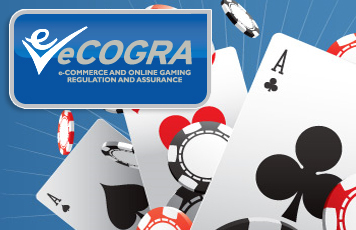 Andrew Beveridge, the chief executive of eCOGRA, says that the revisions have been undertaken mainly to ensure that eCOGRA’s requirements encompass the CEN Responsible Remote Gambling Measures, but that the eGAPs are also a comprehensive and valuable guide that will meet the appropriate requirements of most regulatory authorities. “The regulatory landscape now evolving in Europe has seen a growing number of nations opting for a competitive but strictly regulated online gambling market, and decisions are likely to be increasingly informed by the required measures of the CEN Workshop Agreement which were framed earlier this year,” Beveridge explains. “By aligning our eGAPs with these recommendations, which cover nine key areas of activity, we not only provide a relevant and current roadmap to our accredited sites, but offer an expert framework useful to other operators committed to meeting requirements that are largely common to most regulatory initiatives,” he added. CEN is the European Committee for Standardisation, one of three European Standardisation Organisations officially recognised by the European Union (http://www.cen.eu/). CEN inter alia draws up voluntary technical specifications, such as a CEN workshop agreement, to help facilitate a single market for European industry and consumers across its members in 31 European countries. Some 134 detailed requirements under these headings are included in the recommendations and have been enshrined in the revised eCOGRA document. The recommendations were developed through consensus across a wide range of remote gambling stakeholders – from experts on problem gambling and players to industry representatives and addiction and criminology academics – illustrating a real desire to work together to ensure that consumer protection issues are fully addressed as important EU developments unfold.